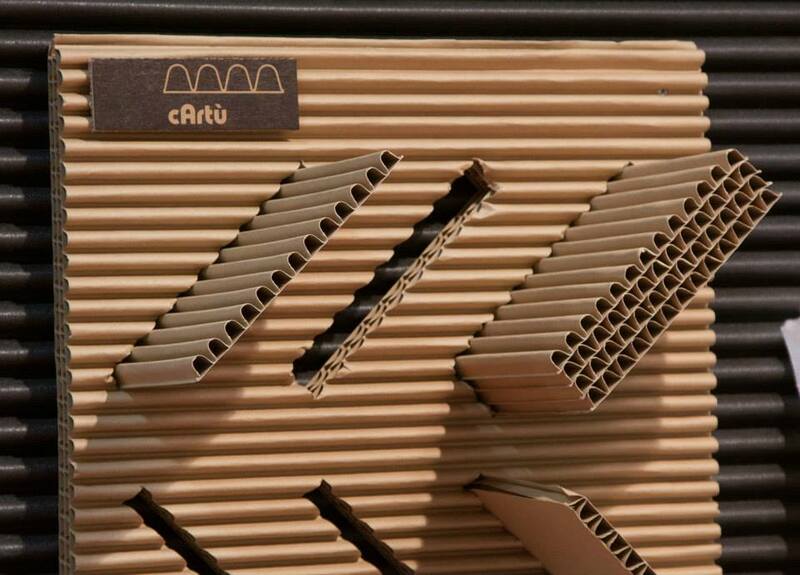 Video: Easy pack with cushion paper – the crystal tray. 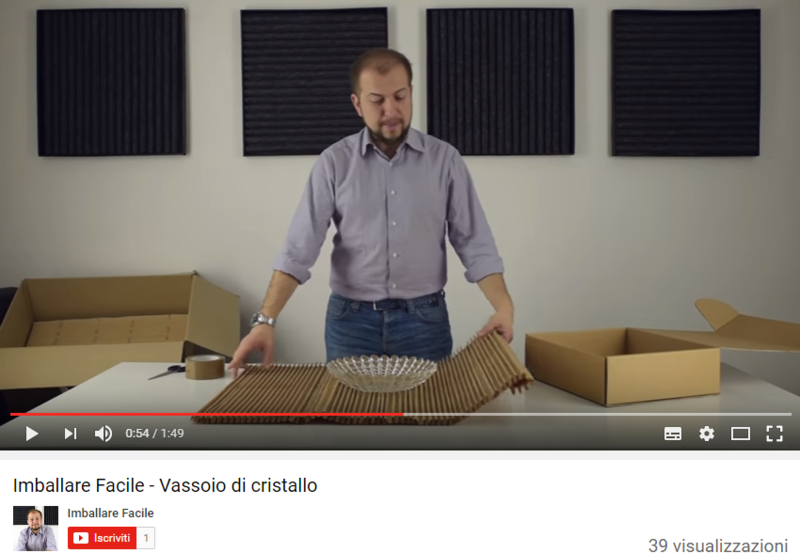 By giulia|2017-02-01T11:03:11+00:00September 2nd, 2016|News, News|Comments Off on Video: Easy pack with cushion paper – the crystal tray. 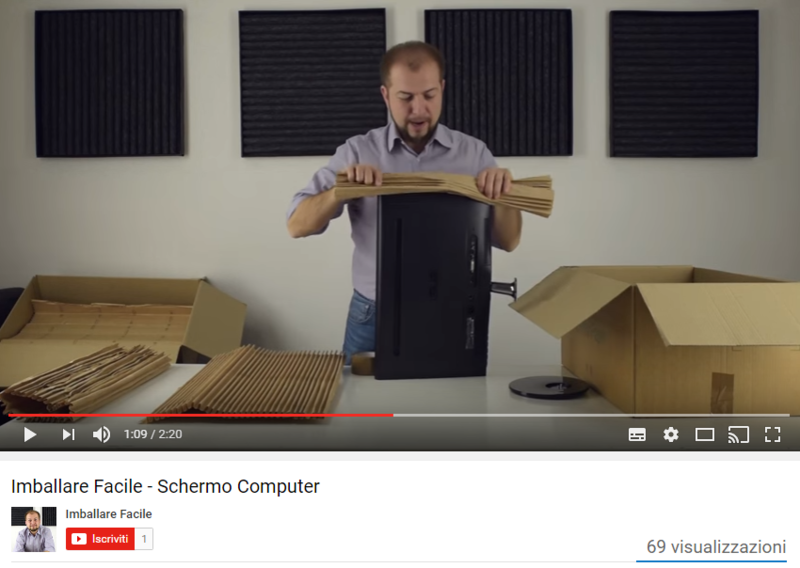 Video: Easy pack with cushion paper – the computer. 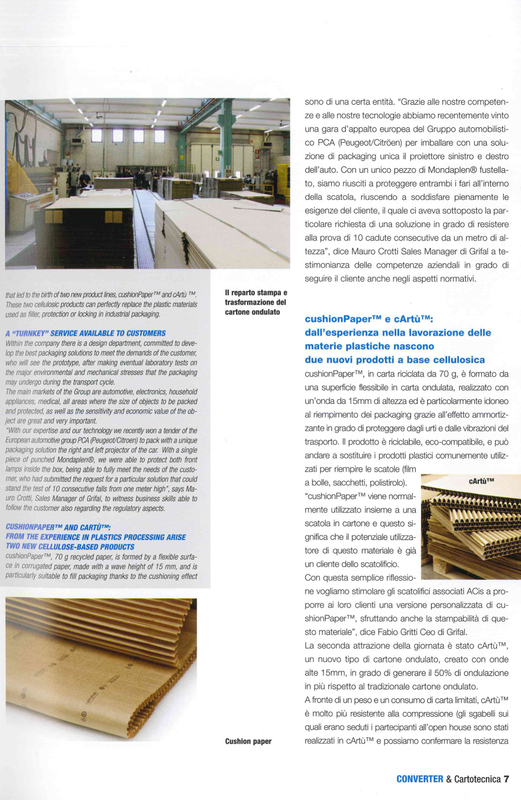 By giulia|2017-02-01T11:03:11+00:00August 31st, 2016|News, News, Other materials|Comments Off on Video: Easy pack with cushion paper – the computer. 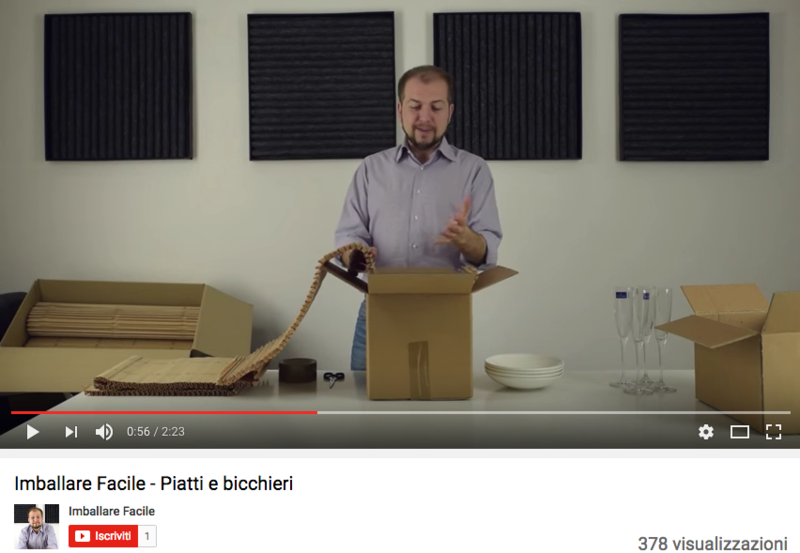 Video: Easy Pack with cushionPaper – dishes and glasses. 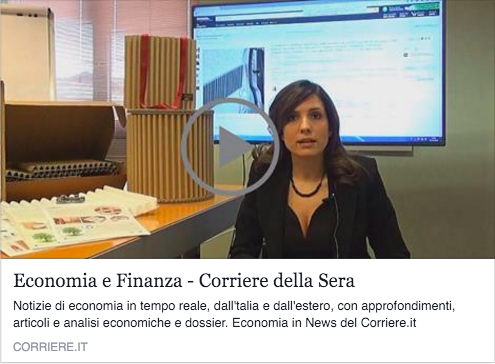 By giulia|2017-02-01T11:03:12+00:00August 29th, 2016|News, News, Other materials|Comments Off on Video: Easy Pack with cushionPaper – dishes and glasses. 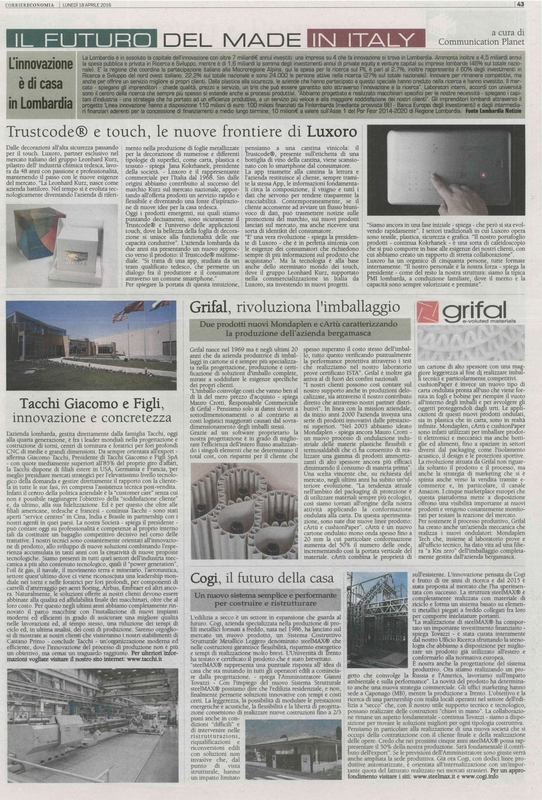 The largest Italian newspaper, Corriere della Sera, dedicated a large space to Grifal in their special report "The future of Made in Italy", inside the Economy section. 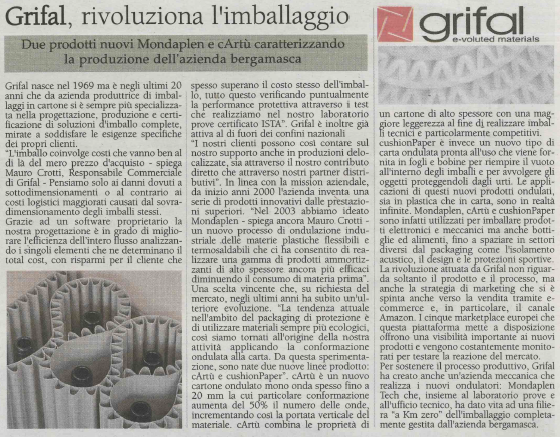 This profile describes the eight most innovative Italian companies in the country's industrial scenario. 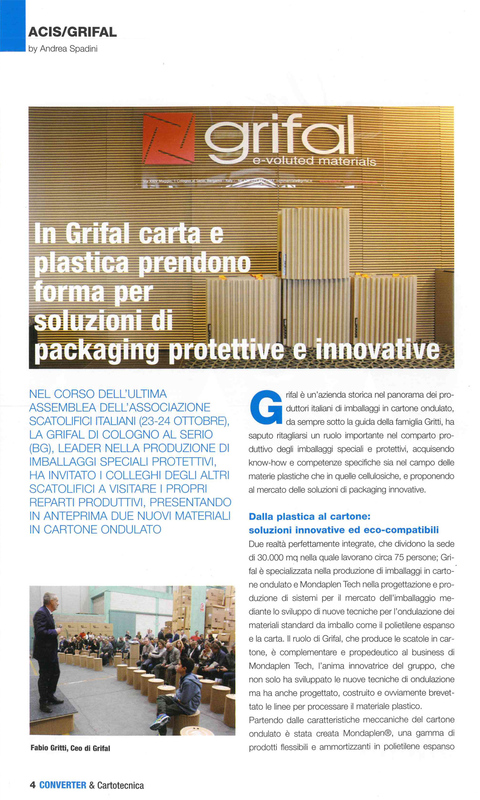 Grifal was chosen as the leader in the protective packaging sector. 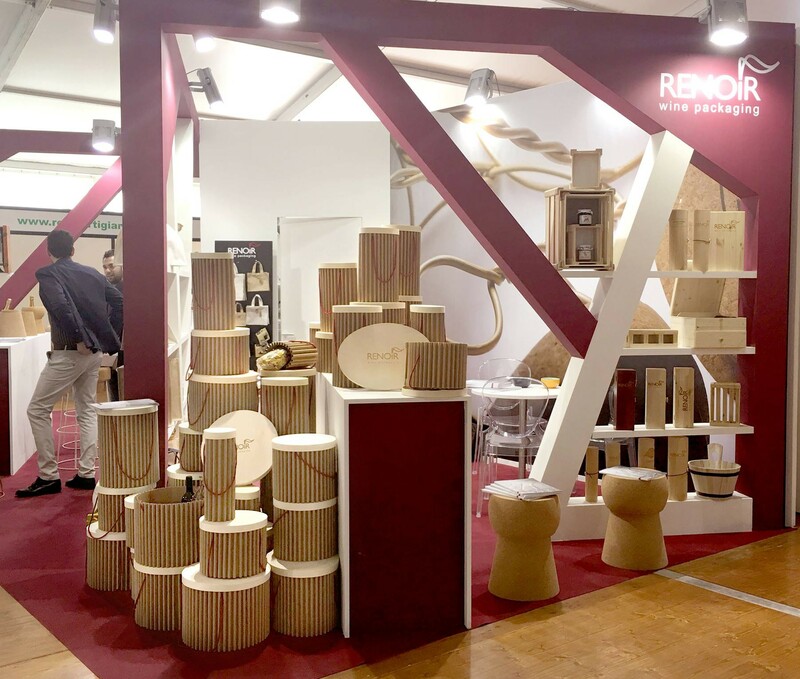 On the occasion of Vinitaly 2016, Renoir Srl presented the innovative packaging for food and bottles made with our new product : cArtù . 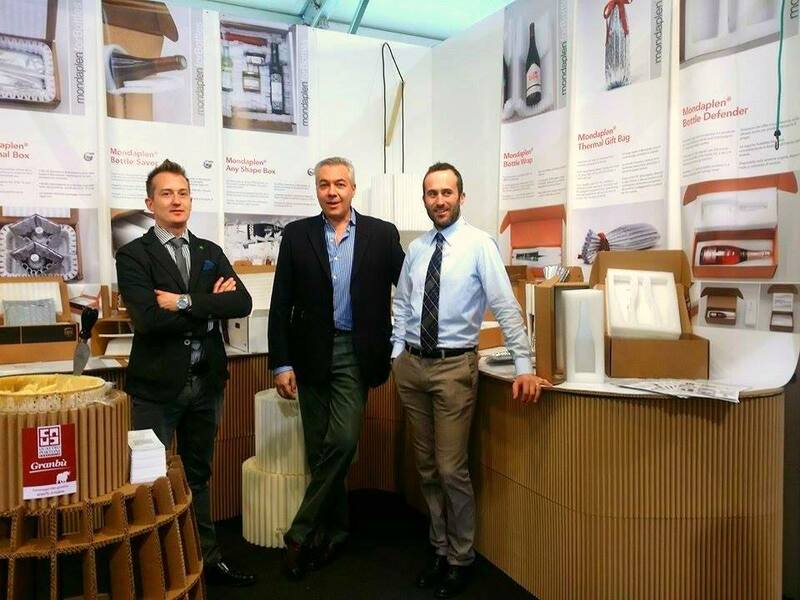 The aesthetic pleasure of corrugated cardboard and recyclability of cArtù have awarded these new design products, making them the most popular news of the fair. 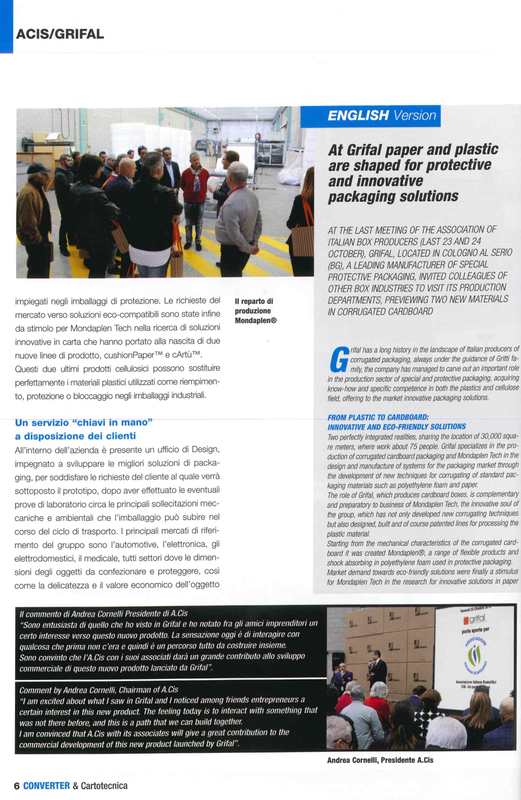 On October 23, on the occasion of the elective annual meeting of ACIS (the Italian Association of Box fabricators) ‪#‎Grifal‬ opened the doors to its members to share the experience gained in over 40 years in creating packaging solutions and innovative products. 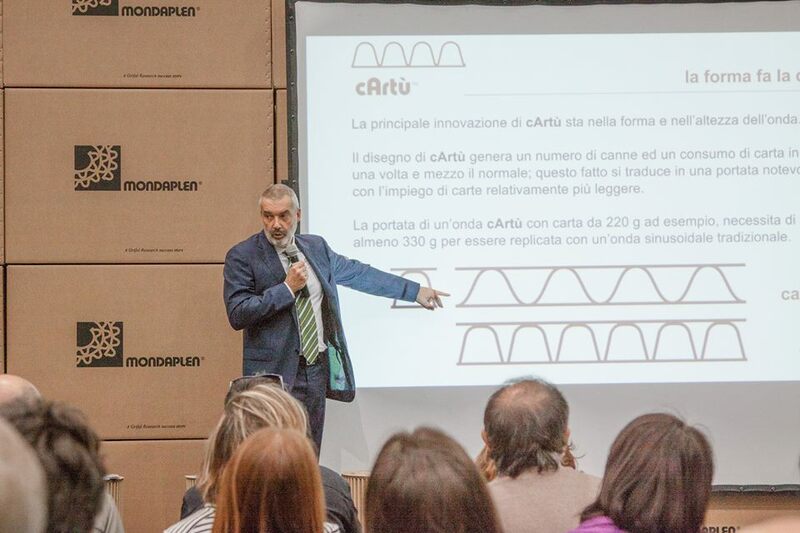 As part of this event, Mondaplen Tech Srl (dedicated to the construction of machines by the Gritti group, creator of Grifal) presented its two new product lines completely made of ‪#‎recycled‬ paper and 100% ‪#‎recyclable‬: #cushionPaper and #cArtù. 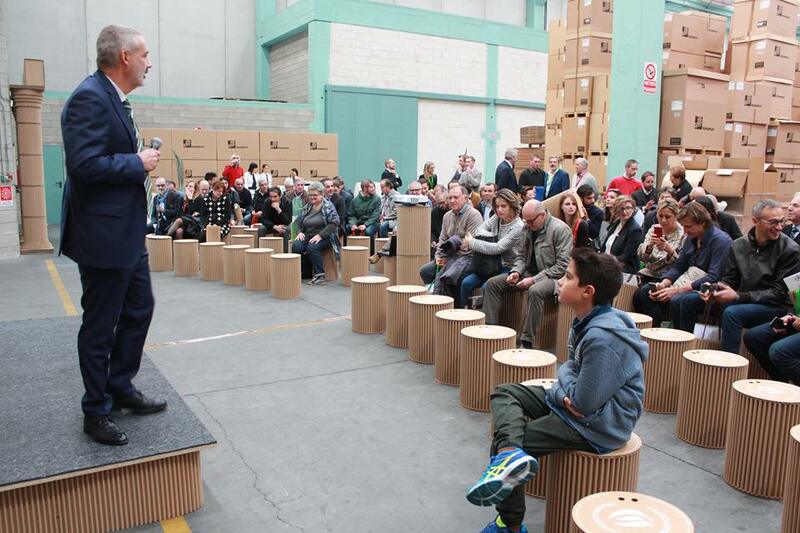 The pouffes created by Leggerodesign, made in Mondaplen and declined in various versions, were among the protagonists of the event dedicated to green design that took place in Bergamo from 5th to 20th September, entitled Arketipos - The Masters of Landescape. 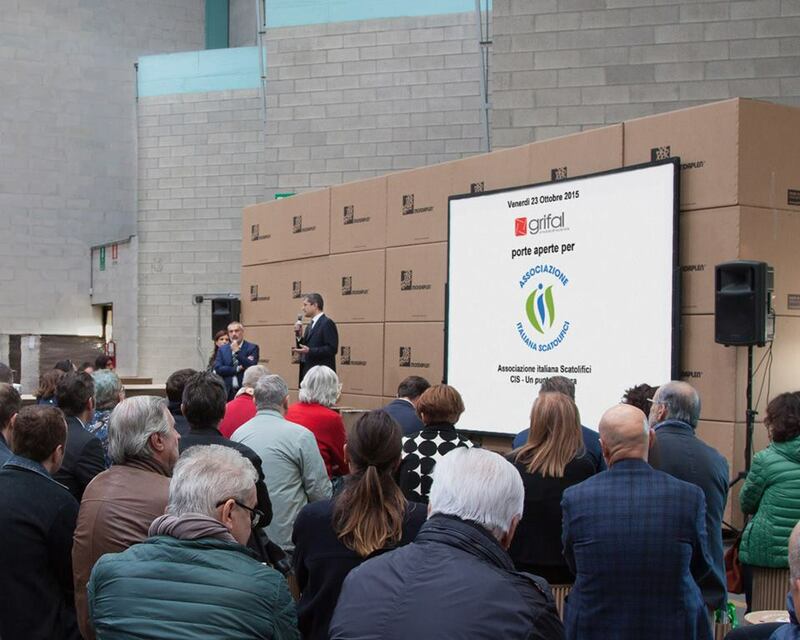 Here are some shots taken at the Info Point in Porta S. Alessandro and during the Green Dinner, a gala dinner held under the arcades of Palazzo della Ragione on saturday , in the Upper Town. 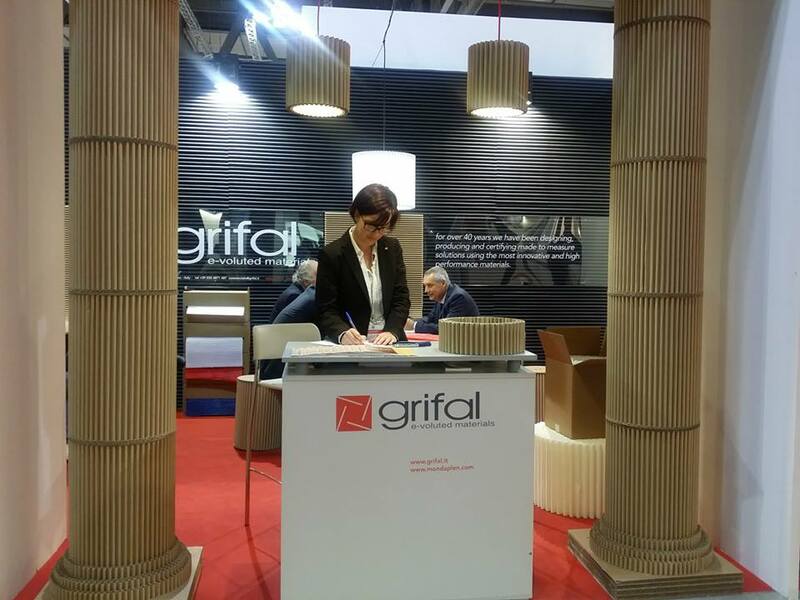 Grifal presentato ufficialmente Mondaplen protettiva della parete - la sua soluzione certificata per la protezione contro gli infortuni impianti sportivi per i giocatori - durante la convention annuale di CSI Milano Servizi. 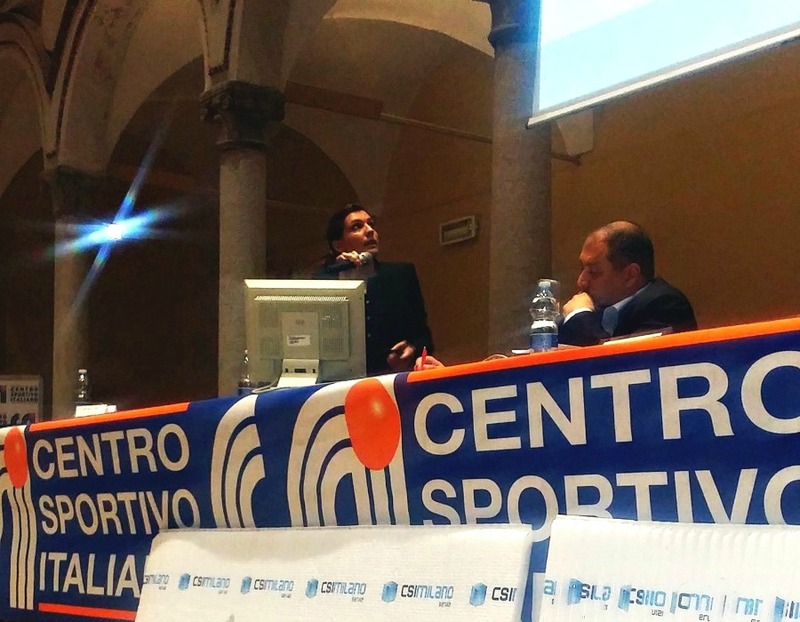 CSI ha introdotto il nostro prodotto alle associazioni sportive, in provincia di Milano, raccomandando come la migliore soluzione in termini di sicurezza. 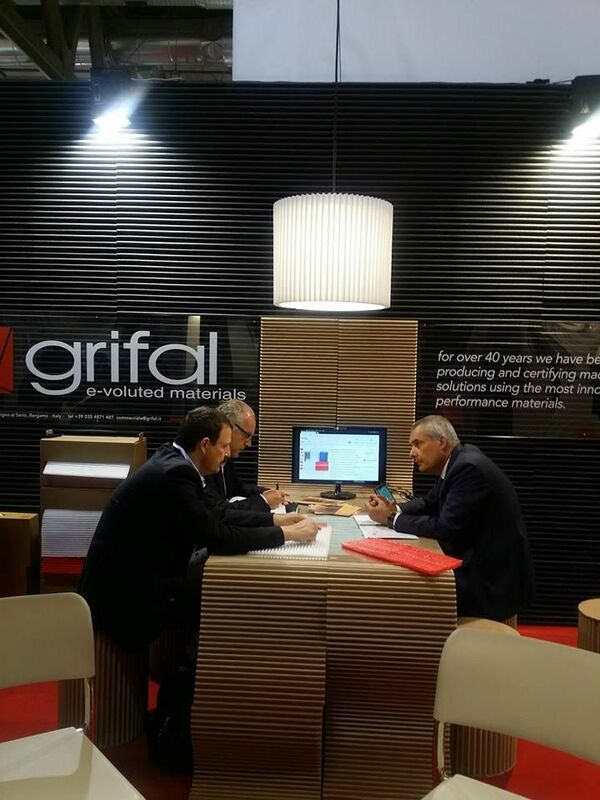 Lots of action at the Grifal stand inside Ipack Ima 2015! 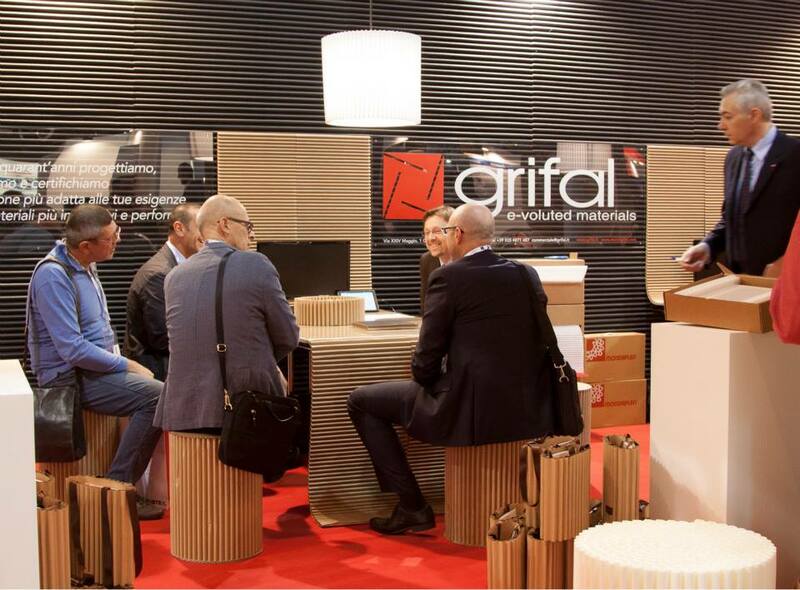 Many interested visitors from around the world. 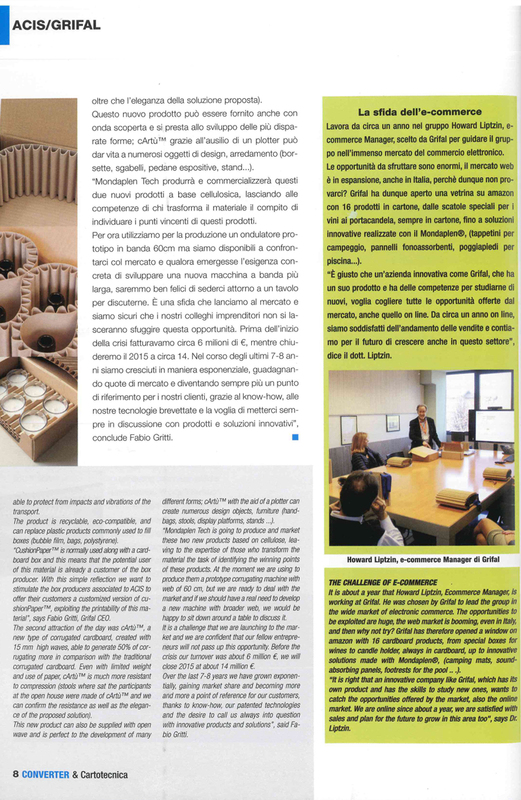 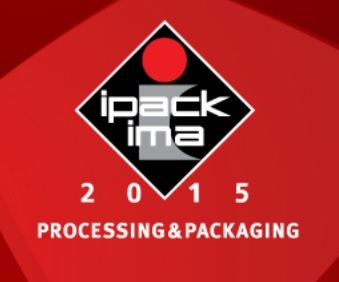 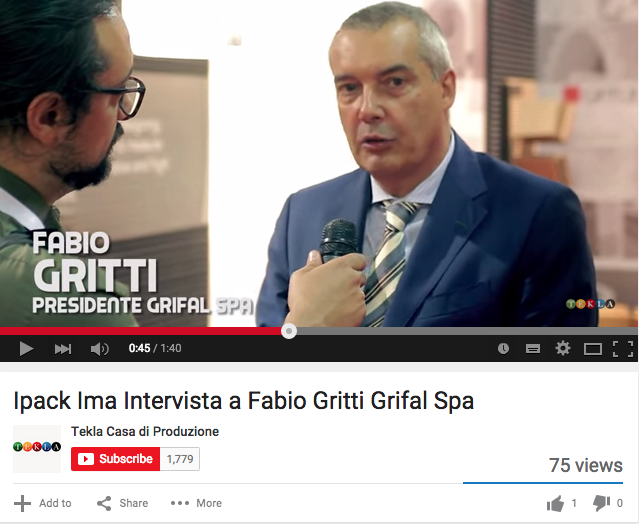 In this occasion we presented our innovative products in Mondaplen and CArtù, designed for the packaging and beyond. 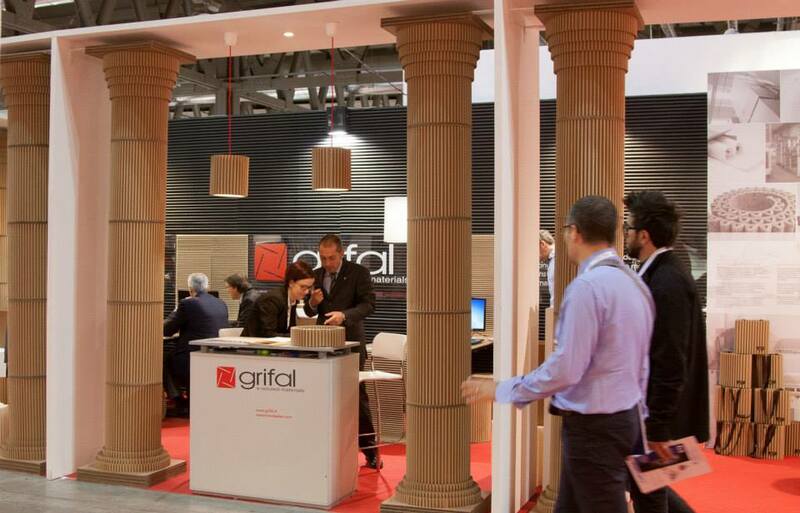 Grifal attended Vinitaly 2015 with its original packaging solutions for bottles: our company has been included in Enolitech area, dedicated to innovative technology for the supply chain of wine and oil. 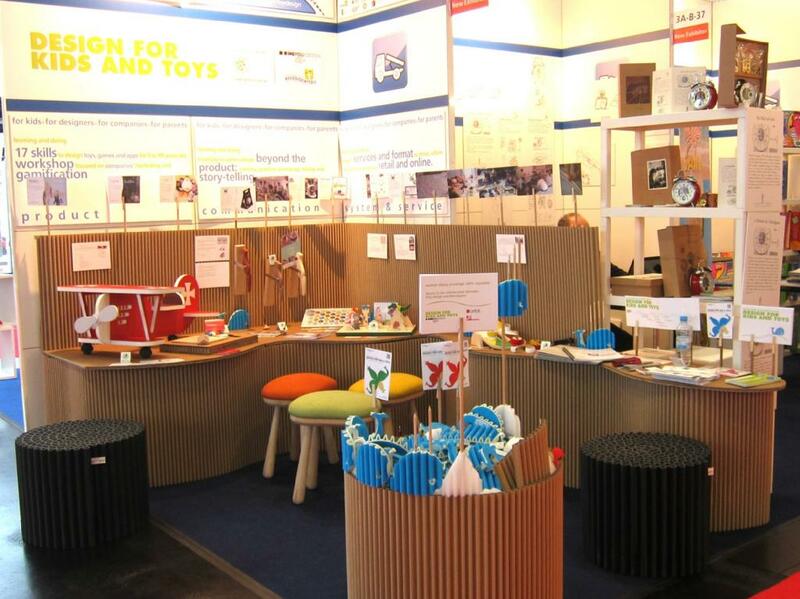 Mondaplen attended the INTERNATIONAL TOY FAIR in Nuremberg with the stand and gadgets made for the Milan Polytechnic course of Design for Kids & Toys.